EDMONTON, AB – Alley Kat Brewing has announced an upcoming addition to its core brand line-up. This cloudy, unfiltered IPA, is our take on the New England style of India Pale Ale. We brew this beer with a blend of classic American hops and new-age tropical hops to produce an East meets West coast NEIPA. With strong aromas of tangerine, citrus, and pine, this catch of the day is delicious any time of the day! 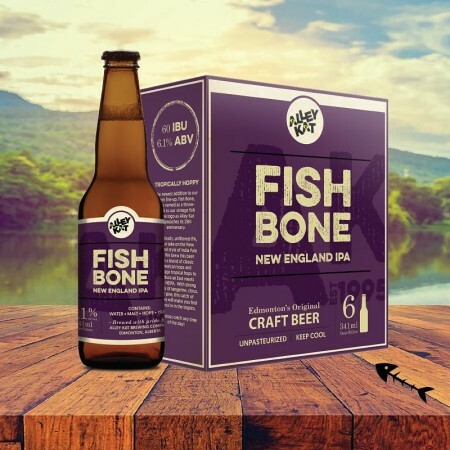 Fish Bone will be officially released on Thursday April 25th with a launch party at the brewery. For more detail, see the Alley Kat Brewing Facebook page.